Chinese manufacturer has preempted competitors by bringing out a 4.85 thin smartphone, making its new R5 currently the world's thinnest smartphone. 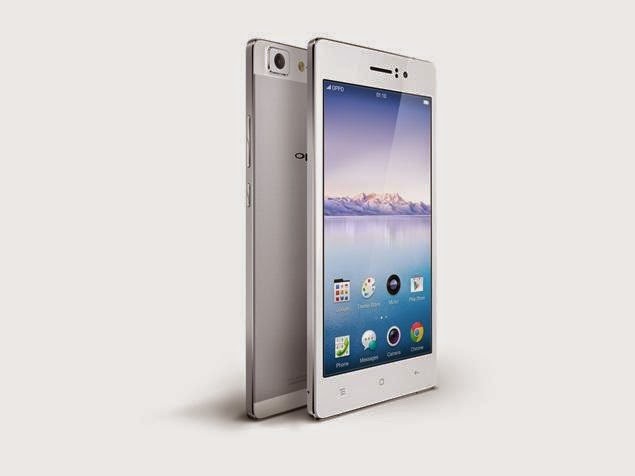 The Oppo R5 has the added distinction of being housed in a specially hand-polished aluminium alloy chassis. Another distinction is it uses a special material called Cool Element to cool the phone. As for specs, it has a 5.2-inch full HD 1080p AMOLED 423ppi display, runs a 1.5GHz Qualcomm Snapdragon 615 MSM8939 octa-core 64-bit processor, has 2GB RAM, 16GB, storage, 13MP Sony Exmor F2.0 5-elements lens with LED flash to shoot 4K videos at 30fps, Pure Image 2.0+ technology scene modes, another 5MP lens in front, and 2000mAh battery with VOOC Mini rapid charging system. Expect to see the Oppo R5 here soon, and at the estimated pricing of RM1,598 or so.